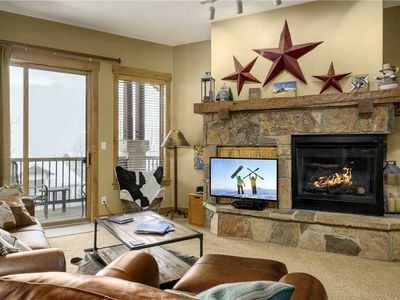 Storm Meadows C210 by SLBCo | Next To Slopes | Sleep in Style | Walk In/Ski Out | Amenities! 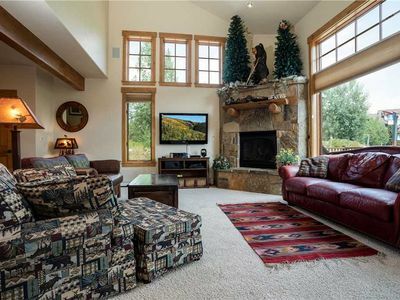 Get ready for a Steamboat vacation filled with style, adventure, and convenience. Storm Meadows C 210 has been professionally redesigned as of fall 2018, decorated in mid-century modern fashion from the top down with new furnishings, paint, and more. 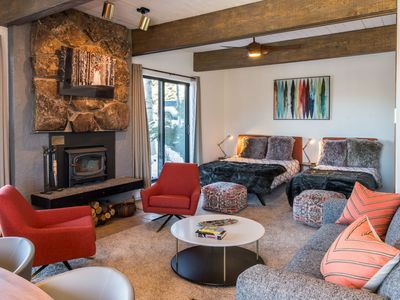 Become one of the first to stay in this refreshing and unique chalet! 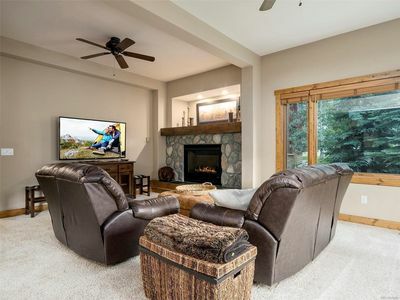 Storm Meadows C 210 is ski in/ski out accessible and offers ample amenities inside and out of the condominium. Storm Meadows C 210 has the advantages of properties twice its size and price point for a unique get-away in the perfect location for any season. 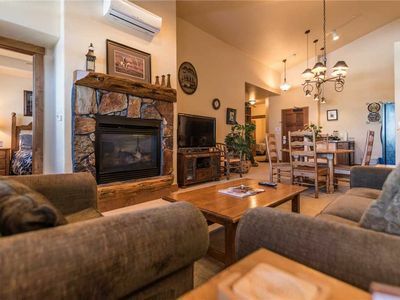 Fit for small groups that want to Play Hard and Rest Easy in the surrounding mountain village. The condo itself is stocked with delectable new furnishings including beds, bedding, lounge chairs, and dining table to name a few. 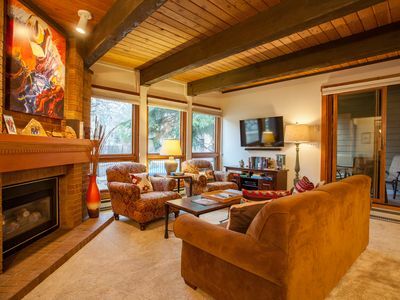 The living area hosts a brand new couch positioned in front of the wood burning fireplace and 50" flat screen TV. 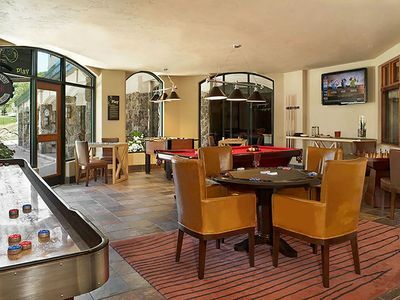 The private patio can be accessed three separate ways from the main level and offers stunning views of the South Valley and Flat Top Mountains. The master bedroom hosts a King bed, flat screen TV, blu-ray player and attached bathroom. The second bedroom is adjacent to the living area with a Queen and twin single that can be sectioned off with an accordion wall when it's time for bed. On the property grounds you'll find easy access to the amenity building that hosts a heated outdoor pool, hot tub, and fitness area that are shared with the complex. Take the Club C elevator down to the first floor where you'll find your private oversized ski locker and laundry room with coin-op washers and dryers. Exceed expectations without breaking the bank at Storm Meadows C 210. *This property does not have air conditioning - fans are available in the property. Sleeping Arrangements: King in the Master bedroom, Queen and twin single in the second bedroom. Sleeps up to five guests. 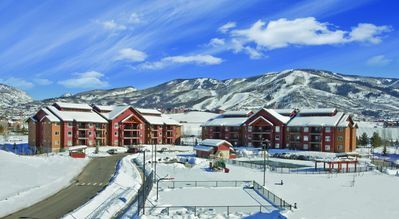 Location: Storm Meadows Club C condominiums, less than one mile to resort base area and 4 miles to downtown Steamboat. 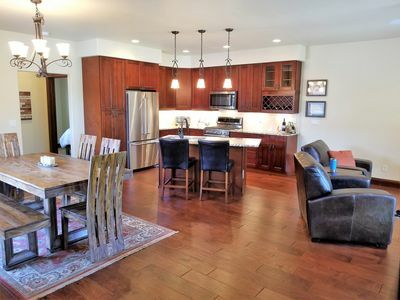 24/7 Local Help: Book with confidence knowing that the rates, images and details published on this property are 100% accurate. 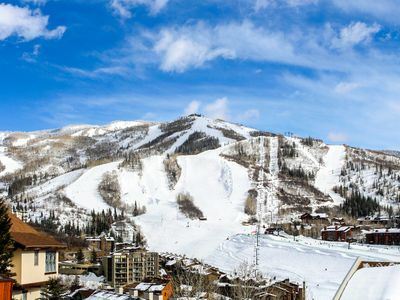 We are conveniently headquartered in Steamboat Springs, this provides us with a local advantage to take care of any issue or need that may arise during your stay, 24/7. If any questions, needs or concerns arise just call us and we will be there at your door to make it right. 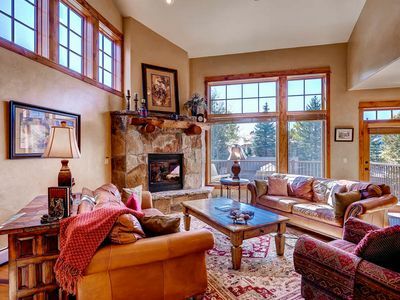 We're Following the Rules: This vacation rental is professionally managed and follows all local & state tax rules. Your reservation total includes all applicable taxes, cleaning fee, and Accidental Property Damage Protection. 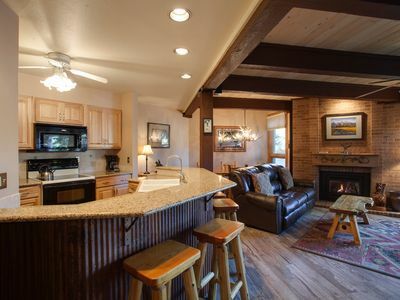 Guests will be required to sign a booking contract with Steamboat Lodging Company to complete booking. 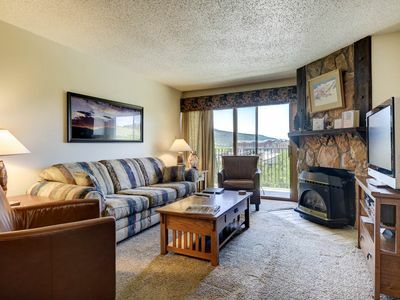 SK108 by Mountain Resorts: Nicely Updated Condo ~ Hot Tub! 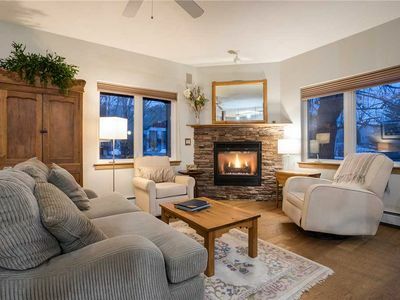 Charming Slope Side Condo with Cozy Fireplace & Loaded w/Amenities! 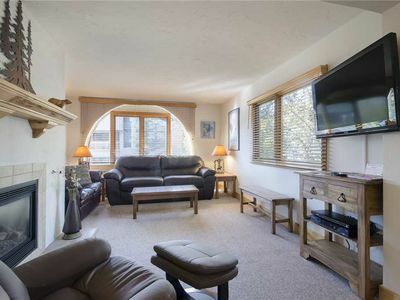 Poolside Condo, Only a Short Walk to Base Area Shops & Restaurants! 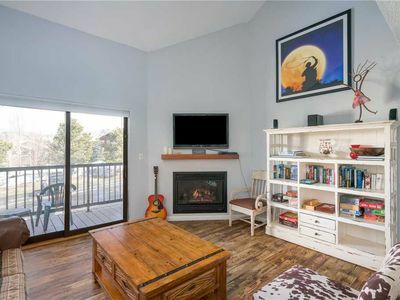 1 Bedroom Condo w/Access to a Pool, Hot Tubs, Fitness Center & More! 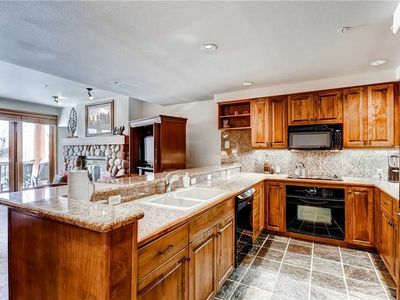 4 Bedroom Townhome, Valley Views, Private Deck & Resort Amenities! 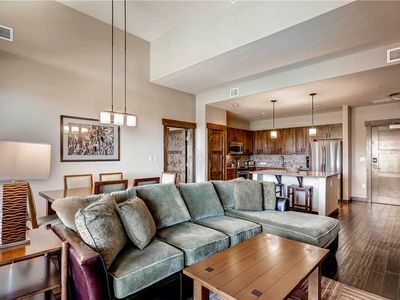 Top floor Condo w/Private Balcony, Amazing Views & Onsite Pool! 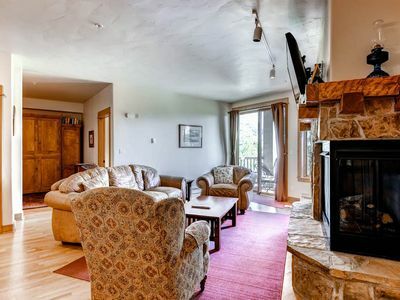 Fantastic Summer Rates - Top Floor Spacious Condo Less Than 3 Blocks From Gondola! 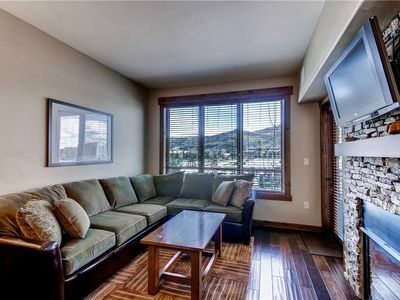 Great Summer Rates - Luxury Townhome With Amazing Mountain Views! 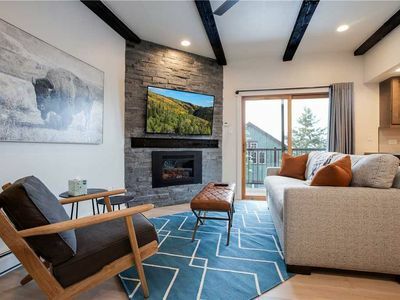 Fantastic Summer Rates - Newly Remodeled Mountain Modern Condo!